Fixed or rotor wing, Aerotronics has the technical expertise to address your aircraft needs. We work closely with every aircraft and avionics manufacturer to build the avionics suite to enhance your flying experience. Our skilled design professionals will work with you to design the upgrade package that best suits your needs and budget. Aerotronics FCC and FAA licensed avionics technicians are here to service your existing aircraft electronics to ensure optimum performance and compliance with FAA regulations. Our gallery of Avionics panels. Aerotronics has the capabilities to renovate every system on your aircraft. Aerotronics offers the latest in avionics products. 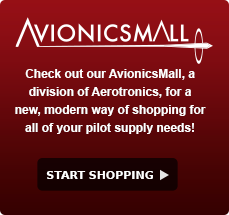 Aerotronics stocks a wide variety of popular avionics available to our customers as loaners.